Iceland Stars In New Movie "The Anatomy Of A European Bank Run!" Non-krona debt owed by entities besides the Treasury and the central bank due through 2018 totals about 700 billion kronur ($5.8 billion), the bank said yesterday. The projected current account surpluses over the next five years aren’t estimated to reach even half of that and will equal a shortfall of about 20 percent of gross domestic product. Prime Minister Sigmundur David Gunnlaugsson has said Iceland’s foreign exchange shortfall is “a matter of huge concern” as he tries to scale back currency controls in place since 2008. The government’s biggest challenge is to allow capital to flow freely without triggering a krona sell-off that would cause Iceland’s foreign debt to spike and undermine the nation’s economic recovery. Wait a minute, if the Icelandic debt spikes, what happens to the Icelandic banks banks whose primary government bond (aka "risk free", ahem...) holdings happen to be Icelandic. Here's a hint: The Anatomy of a Europan Bank Run! Is There A Canadian Housing Bubble? But, But, But... It's Different This Time!!! Last week I queried "Is There A Bubble In The Canadian Condo Market?" We Drilled Down Into The Facts To Find Out and offered our researched opinion to paid subscribers (see below). Boombustblogger backwardsevolution has shared some interesting charts that appear to go straight into the heart of the matter..
Apple's flagship device, the iPhone 5S is facing tremendous competition from Android powered handsets. We now have devices that cost more then 15% less than the premier iPhone, yet run circles around the Apple flagship in nearly every single worthwhile category.Unlike the Android beasts of the recent past (sans the Samsung Galaxy series) these newer Android devices aren't only geek and engineer's toys - they are coming to market backed by centimillion dollar marketing budgets. If you remember, this is how Apple caught the crown. Now, it's not as if Apple can't do better from an R&D, engineering and production perpective - it can. It's just that the company is trapped, hamstrung, by its need to incessantly safeguard its above industry average margins. Of course, whatever goes up, must come down, and we'll be seeing more of that in Apple in the coming quarters. Now it's time to discuss where the stock will go from here. Valuation and specifics are the purview of paying subscribers only. All subscribers may email me for my valuation numbers (a quick summary only) and professional/institutional subscribers may contact me for a 5 minute discussion on this topic. I will have an updated valuation report out with 48 hours, likely by tomorrow midday. In the meantime I'll share a smattering of metrics, facts and trends that the sell side is still refusing to face. Let's dance, shall we? Apple Is In Trouble – Plain & Simple! Apple has successfully transformed itself from a portable and desktop computer company to a mobile device company, and managed to do so right at the crux of the mobile computing boom. As such, it has benefited mightily, briefly becoming the largest and most respected company in the world. Alas, what goes up must eventually come down. The largess revenues and margins gleaned by Apple brought massive competition, and in the case of Google’s Android, business models specialized in gutting the fat margins which caused Apple to prosper. As a result, margin compression ensued, but very few actually saw signs of it until it was too late (reference Deconstructing The Most Accurate Apple Analysis Ever). Take note of the chart below which show Apple’s expenses at the corporate level spike. The spiking of expenses is corroborated by nearly all fundamental profitability metrics. Before delving into these metrics, let’s review how they margin compression is actually being leveraged. You see, Apple’s margin problem is not emanating from just aggressive competition with smart business models, ubiquitous cloud services (Google) and low cost means of production (Samsung). Apple is now paying the piper for its shift into mobile by having its pipeline effectively saturated with mobile products, thus nullifying the margin expansion that the move into mobile products have brought on. Mobile products had higher margins than their desktop/laptop counterparts. The chart below shows Apple as a nearly completely mobile products company. Now, one may say, “but even if they have turned completely into a mobile products company, margins should stabilize, not compress!”. How true, young grasshopper, except for the fact that as Apple has nearly completed its transformation, Google has started compressing margins in the mobile space, which has in turn started to put pressure on the margins of this nearly completely transformed company. Look at the progression of the revenue/product mix over time. From margin perspective, one may see an extra hit to margins as Apple has actually had a relative increase in Mac sales, whose margins are materially lower than iPad and iPhones. This will be compounded by iPhone 5 and iPad mini sales, both of which have lower margins than the products they replaced or are cannibalizing. As a matter of fact, this has been the largest drop in margin (in terms of %) since I’ve followed the company. Oh, and BTW, you can have shrinking margins AND shrinking market share, re: 4:58 in this CNBC video below (watch the whole clip if you haven't seen it before). So, exactly how did this all come to be? Stay tuned. Tradable numbers will be forthcoming to subscribers (click here to subscribe) within 48 hours. To all retail investors (pros should know better) who do not subscribe, please do not attempt to read into what's in the subscription material by guessing from my public posts. All of the opinion and analysis that I make public has been of extremely high quality and quite accurate in aggregate, but it was not intended to be used as investment advice. That is what you pay for. 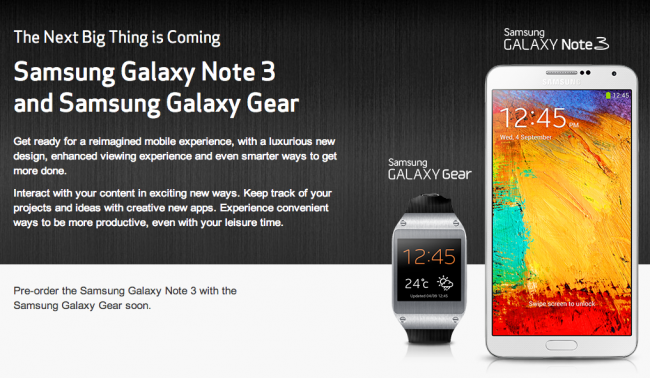 What So Important About The Launch Of The Samsung Galaxy Note 3? This prediction came true and the financial positions based upon it paid off - in Spades!!! I also made additional observations, most notably that Google's Android business model will bring about margin compression across the board and not in just the Apple camp. Was I right? Well... Samsung Follows Footsteps Of Apple, HTC, Nokia - Wasn't That Quick? Samsung's success may be its downfall, just as was the cast with hubristic Apple management. Heavy hardware R&D was not the order of the day. Combine this with the fact Samsug's (and Apple's) runaway success in terms of sales volumes naturally meant that they will have problems in procuring the best components, particularly when the manufacturers/vendors of said components are your direct competitors. This happened to Apple buying chip/memory/CPUs from Samsung, screen and camera tech from LG and Sony, etc. The Android less then free model has turned contractor and vendor into enemies. Now, Samung is facing the same problems that took its erstwhile, yet defeated enemy down. This is most notable in the lack of OIS (optical image stabilization) in the Samsung Note 3. Basically, this physical feature allows for the device to take more accurate, sharper and accurate pictures given the same amount of resources. The note was slated to have this feature, but it fell through because the vendor couldn't produce the volume needed to satisfy the needs and demands of Samsung's flagship device. That or the competition didn't want Samsung to have it, just like Samsung didn't want Apple to have its best component technology. t's not just the still camera that's significantly better. The video is smoother, sharper, clearer and faster - at up to 60 frames per second in full HD (the Note 3 records in 4k UHD, but since the screen doesn't support that resolution it's very difficult to guage quality. When I tested it, it still paled to the G2's 1080p results. Now, Samsung did attempt to compensate by adding what is called digital image stabilization. This is basically software interpreting and attemptin to replicate optival image stabilization. It just doesn't work - not in this case nor any other case that I know of. The LG G2 screen is brighter and more crisp than the Samsung flagship. The form facter displays better engineering chops in my opiniom through designe and is more compact due to the control buttons being on the back of the phone. The G2 bits a 5.2" screen into a device the size of a Galaxy S4. The Note's screen is on 5.7", a mere half inch larger in a device well over an inch bigger. Granted, it does have a Wacom digitizer and pen, but I used it rarely after the novelty wore off. The battery life in the G2 is also vastly superior. All of this in a device that retails for a full $200 less than the Galaxy Note 3. Do you remember what happened to Apple when it started charging a truly undeserved premium for its phones? Next up, we look into what the new Apple iPhone 5S and 5C portend for Apple investors and speculators, then we move on to security. How do you secure your phone and communications from the NSA, nosy people, or devious hacker types. Well, the reason why I apparently out-maneuver the Street in this space (as in others) is not vastly superior intellect nor a LiPoSilica Oxide powered crystal ball borne from some extraterrestrial technology. It’s actually so much simpler than all of that. and Samsung (currently [and ignorantly] known as the market leader, reference Samsung Follows Footsteps Of Apple, HTC,…and Samsung Will Be Ready To Do That Fruit Thing, Just Like Blackberry & Apple - Courtesy Of Google, #MarginCompression! You will see an undeniable patter of revenue and profit peaks, then revenue peaks (sans the profit peaks), then outright margin compression. I’ve pointed each out in explicit detail to subscribers, causing me to wonder why I’d send the alarm on Samsung for freeJ. Well, there’s a reason for everything! Once it comes to profitability and margins, We Reached "Peak Premium Smartphone… Ignoring raw fundamentals and margins, let’s look at the newest crop of hardware. The much ballyhooed Samsung Galaxy S4, although breaking sales records, produced much less revenue that both Samsung and its analsysts anticipated. From a technological standpoint, it's simply a spec bump from its predecssor (the S3) and a collection of software gimmicks with the hope of eventually forking Google's Android in an attempt to stem the inevitable margin compression tide coming down the pike. The upgrade to the pre-eminent phablet, the Samsung Note 3, was much anticipated by many - including yours truly. Again, it was essentially just a spec bump (using widely available components, at that) that didn't even have the top of the line specs due to Samgung's extreme success as of late. You see, because Samsung sells so many phones now, it just can't simple procure the best and the latest tech to incorporate into its gadgets. It has engage into very heavy supply chain management and logistisc, ala Apple. Samsung is also encountering the same foibles that Apple did, namely supplying what seems like insatiable demand - even if that means including inferior parts. The Note 3 uses essentially the same Sony sourced Exmor camera that the Galaxy S4 uses (as well as about half the market) with not jump in specs. Performance was reached (or at least they tried to reach it) by using additional software tricks and gimmicks such as digital image stabilization (essentially, fancy cropping and interpolation). This was done because the hardware components that allow for lossless/noiseless optical image stabilization were not available to Samsung in the volume that it needed. This is important, because the camera is one of the most important and oft used parts of a smart phone. Samsung has basically upgraded the Note 2 via a faster commoditized CPU and screen while its competitors have leapedfrogged it in both performance and innovation by truly creating something different, better, and useful. Next up, I will show you - visually, how Samsung has already done the Apple thing. After that, we will address the abysmal state of security in the mobile realm and how government disinformation strives to keep it that way. Most importantly, for my subscribers, I will walk you through exactly what it is you can do about it. The WSJ reports - BlackBerry to Slash Workforce by Up to 40%: Layoffs to Cut Across All Departments as Phone Maker Confronts Shrinking Sales. This was a foregone conclusion. If you remember, we called the very profitable Blackberry (then RIMM) short in 2010. With the advent of the new touch screen Z10-type devices, the stock rallied as many thought Blackberry had a snowball's chance in hell. They didn't! Even if Blackberry was on plane technically, which I feel they weren't for their devices were on par with many Android/Apple at launch, but Android's innovation/development/growth rate is off the chart. This means that whatever is cutting edge this quarter is old hat 3 quarters from now. How could Blackberry keep up with this pace? They simply can't. Even if they could, there's this issue of margin compression. You see, as tech in the Android space advances, the prices drop - precipitously! Let's reminisce, referencing Blackberries, Apples & Fruit Borne Successitis - The Problem With Excess Profits Is Hubristic Management Tends To Take Eyes Off The Prize!!! I explained this in detail in the post "Cost Shifting Your Way To Prominence Using The Network Effect, Or Google Wins - Apple, RIM & Microsoft Have ALREADY LOST!". Failure to achieve the network effect effective is tantamount to a failure to be able to control you margins, long term. Of all people to of know this, who do you think preached it most convincingly? Margin compression was sure to kill Blackberry, even if they did hit their sales numbers, which they didn't and couldn't!!! BoomBustBlog Research Performs a RIM Job! With Android, you don't need for Google to accept your personal changes, you can simply roll your own personal version and use it for yourself which should be the preference for the paranoid types. You can't do this with any other popular OS. The amound of independent eyes on Android trumps that of any other OS, by far. If something has a chance of getting caught (ex. spy code) it will likely get caught on Android code base. This has already happened, read XDA developers code posts for the HTC Evo"
The Snowden files say the NSA spends $250 million a year on covertly influencing the product designs of technology companies, suggesting inserting such vulnerabilities is a high priority for the agency. It could also be swiping keys directly from online service providers, says Kuhn. The TLS encryption protocol, which puts the "s" in secure https connections, relies on servers storing a secret key to decrypt incoming messages or transactions. The NSA could bribe a system administrator or otherwise infiltrate the organisation to gain access to these keys, allowing it to decrypt any intercepted traffic to the relevant server. To avoid the NSA's gaze, Kuhn says people should turn to open-source software, where many people evaluate the underlying code and can identify any attempts to weaken it. "There is going to be a lot of pressure on IT decision-makers to justify why they gambled the security of their infrastructure on some close-sourced offering that is very likely infiltrated by NSA programmes." There's also the news pieces stating that the NSA can access the personal information on popular handsets, including Blackberry, iOS and Android handsets. The NSA apparently had problems with the Blackberry devices, for about a year. Then again, knowing that Blackberry simply handed the keys over to the Indian government, I wouldn't have felt very secure, even for that year. Here's an example of the innovation that I use for privacy and control - CyanogenMod introduces system level encryption for messaging. The ability to have code scoured, cleaned, and fixed by tens of thousands of others will beat the efforts of any single company - any time of the day. If you really care about your privacy, you should think twice about iOS, Blackberry and Windows. Last year I wrote "The "Believe In Germany Bailing The EU" Trade: Go Long Magic Wand Raw Materials & Harry Potter Paraphernalia" wherein I warned of both the risk in Germany as a save all, and the risks posed to European FIRE sector companies (and insurers in particular) as a result of this believe in magic over math. Poland will take over and cancel government bonds held by its privately managed pension funds, stopping short of fully “nationalizing” the system as it seeks to curb public debt, Prime Minister Donald Tusk said. Whaaaat!!!??? Cancel bonds? Outright theft! Listem carefully here. It's not as if I didn't tell you so. Now, what happens to those insurers whose pension funds under management were robbed? Again, revisit "The "Believe In Germany Bailing The EU" Trade: Go Long Magic Wand Raw Materials & Harry Potter Paraphernalia". This plain as day and easy to see coming, and there's a lot more coming! Transparency In The European Banking? Madness, I say! Sheer, Utter Madness!!! If I Provide Proof That The Entire Irish Banking System Is A Sham, Does It Set Up A Much Needed System Reboot? Let's Go For It...), the chances of there being any recovery is somewhere between zilch and nil, give or take a euro or two - reference LGD 100+: What's the Possibility of Certain European Banks Having a Loss Given Default Approaching 100%? and The Anatomy of a Serial European Banking Collapse to realize that once a counter party driven bank run starts, there may be less than nothing to divy up in the end. Lehman Brothers' US creditors received roughly 10 to 40 cents on the dollar, but after 5 years of wrangling, the European International arm was full repaid. Hey, do you feel lucky with your life savings? Even if you do feel lucky, you'll still need 5 years to spare and a ton of cash for legal fees. However, some member states have not ruled out the possibility that insured deposits, i.e. deposits under €100,000, would be forced to bear losses in the event of a bank collapse even though these deposits would be likely to be protected by the deposit guarantee scheme. As stated earlier, this ain't AAA coverage! This year Jeroen Dijsselbloem, head of the group of 17 euro zone finance ministers, said that losses on bondholders and depositors could form part of future bank bailouts as euro zone officials seek to move the burden of bailouts away from taxpayers – as was the case in the Irish bailout – and on to private investors. The European Commission argues that this switch from so-called “bailouts” to “bail-ins” would result in an allocation of losses that would not be worse than the losses that shareholders and creditors would have suffered in regular insolvency proceedings that apply to other private companies. Ahem, that non-sense only works on the uneducated and/or the unassuming. The major difference is that creditors that would be subject to regular dissolution proceedings AND that are unsecured, would demand considerably higher rates of return. A borderline solvent bank whose officers AND regulators admit publicly is in need of additional capital infusions after receiving three thus far, and 96% losses in its publicly traded equity, would have to borrow money at 18%, not 2% - and that's being generous. See the bank deposit rate calculator below. While the inclusion of large savers in future bank bailouts is now widely accepted, significant differences still remain between member states. While the new rules governing bank resolution were first intended to come into place in 2018, since the Cypriot bailout there have been calls from senior EU figures such as European Central Bank president Mario Draghi and EU economics affairs commissioner Olli Rehn to introduce the new regime as early as 2015. The Irish presidency of the European Council is hoping to reach a common position by the end of next month. Dear Ireland (& AIB), Haven't We All Learned The Problem Is Insolvency, Not Liquidity? Almost a year ago, as the euro crisis raged, Europe’s leaders boldly pledged a union to break the dangerous link between indebted governments and ailing banking systems, where the troubles of one threatened to pull down the other. Yet the agreement that seems likely to emerge from a summit later this month will be one that does little to weaken this vicious link. If anything it may increase risks to stability instead of reducing them. Almost everyone involved agrees that in theory a banking union ought to have three legs. The first is a single supervisor to write common rules and to enforce them uniformly. Next are the powers to “resolve” failed banks, which is a polite term for deciding who takes a hit; these powers also require a pot of money (or at least a promise to pay) to clean up the mess left by bust lenders and to inject capital into those that can get back on their feet. The third leg is a credible euro-wide guarantee on deposits to reassure savers that a euro in an Italian or Spanish bank is just as safe as one in a German or Dutch bank. National insurance schemes offer scant reassurance to savers when sovereigns are wobbly and insured deposits make up a big chunk of annual GDP (see chart). Samsung Follows Footsteps Of Apple, HTC, Nokia - Wasn't That Quick? You have to keep innovating in the mobile handset space or your margins will start dropping and your product will be commoditized. This is guaranteed! Paying subscribers should feel free to email me about this if they have any questions. Institutional and professional subscribers are free to call me and chat in depth as well. n early 2010 I warned on Blackberry (then RIMM), with market share loss to Android being the prime determinant... Many More Black Eyes for the Blackberry? A Complete Forensic Analysis of Research in Motion. I put significant data out in the public domain to illustrate my point and put explicit price points out for subscribers, ie. RIM Smart Phone Market Share, RIP? Was I right? Apple Gears Up To Combat The Margin Compression That Apparently Only It, Google & Reggie Middleton Sees Coming, it's impressive. This tech is moving lightning fast and the price points aren't budging, although the margins are collapsing in this fast moving space. Proof of this is found in the very moderate, "evolutionary" progression of the Samsung Galaxy Note 3.Being a proponent of these high end Samsung products, there's not a lot that would prompt me to change from my LG Optimus G Pro to the note, and that should make Samsung very nervous. From a functional perspective, Sony, LG and HTC likely have it beat - as well as some Chinese manufacturers. That's pretty quick seeing as Samsung just made it to the top last year. Yes, like Apple, Samsung can ride its consdierablbe brand recogntition for a couple of years, but the end of the day, it will have to continue to innovate. The Galaxy Gear smartwatch is also equally unimpressive. There just doesn't seem to be enough practical innovation or usage argument to warrat a purchase from a high end user such as myself. The functionality of the Gear smartwatch, like most smartwatches that I've seen seem to be akin to a solution searching for a problem to solve. 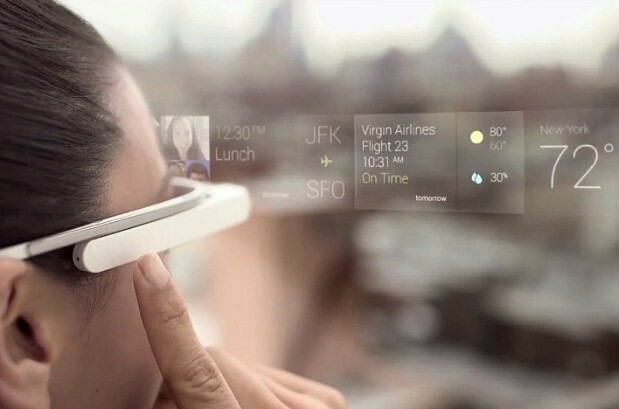 Contrast this to the truly revolutionary, game changing, paradigm shifting Google Glass and you will get the picture. Long story short, the only company that is positioned to come out on top of this hardware battle is Google, at least thus far.